A light was spotted streaking across the Southern California sky on Wednesday, July 27, 2016. 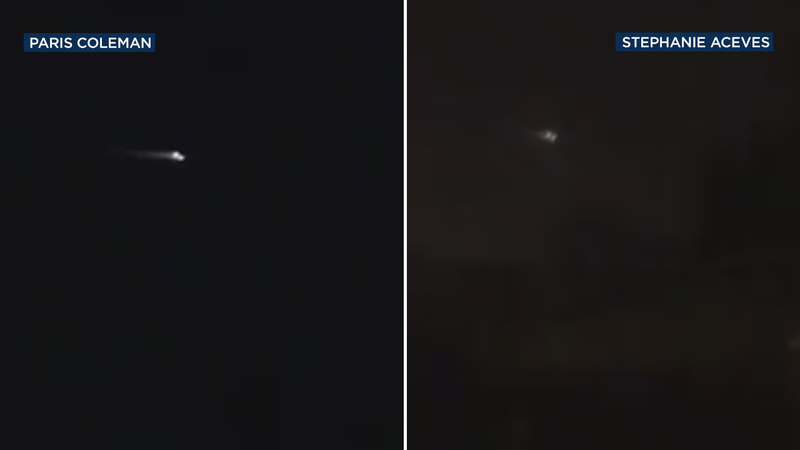 LOS ANGELES -- A mysterious light was spotted streaking across the Southern California sky on Wednesday, sending social media into a frenzy. ABC7 reached out to Dr. Ed Krupp, director of the Griffith Observatory, who stated the Delta Aquarids Meteor Shower was set to peak Wednesday evening. Due to the radiant point being low in the southern sky, Krupp said it was possible that light spotted in the sky was part of the Delta Aquarids Meteor Shower. Krupp also said the Perseid Meteor Shower was also a possibility, as it's supposed to peak in mid-August. Several ABC7 viewers took to social media and shared their photos and videos using #abc7eyewitness.